HashedIn Technologies is hosting a Redis India Tour in partnership with Redis Labs with an aim of bringing all Redis enthusiasts in India to connect, collaborate and learn about how Redis could scale-up and boost the performance of business applications. Our objective is to help Redis users get the best out of Redis open source and Redis Enterprise. Most suitable for Solution Architects, Sr Solution Architects, Delivery Managers/Leads, Director Engineering, VP Engineering, CTO and all other who are leveraging Redis or planning to use Redis. This is an invite-only event, where only senior technology professionals and key decision makers are invited. 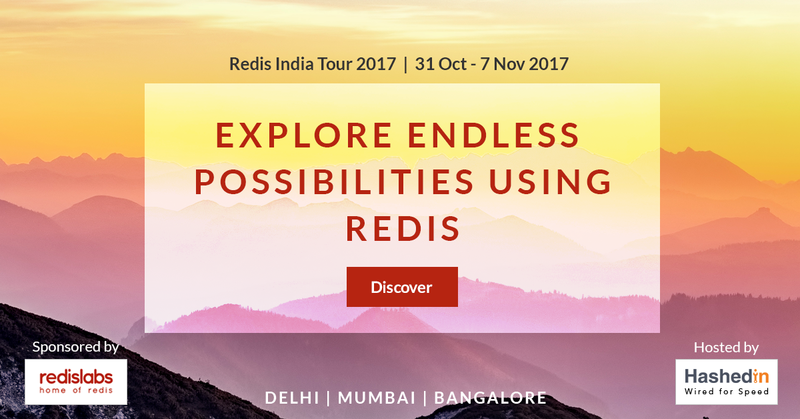 We are pleased to invite you to participate at any of the above mentioned Redis tour events at your convenience. Register today!